This package contains one set of standard size EYESHIELDs, one set of compact size EYESHIELDs and an EYESHIELD for your spotting scope. 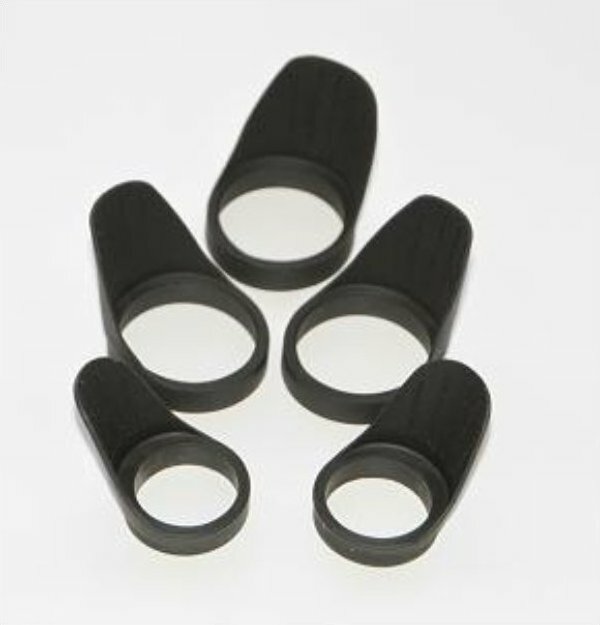 The EYESHIELD is is a flexible molded rubber material that connects to the eye piece of the binocular or spotting scope. The EYESHIELD cradles your eye and prevents ambient light from entering into the space between your eye and the eyepiece of the field optic that causes lens glare. An added benefit is the EYESHIELD protects the eyes from wind, rain, snow and dust. This is a must have for everyone who uses binoculars and spotting scopes.